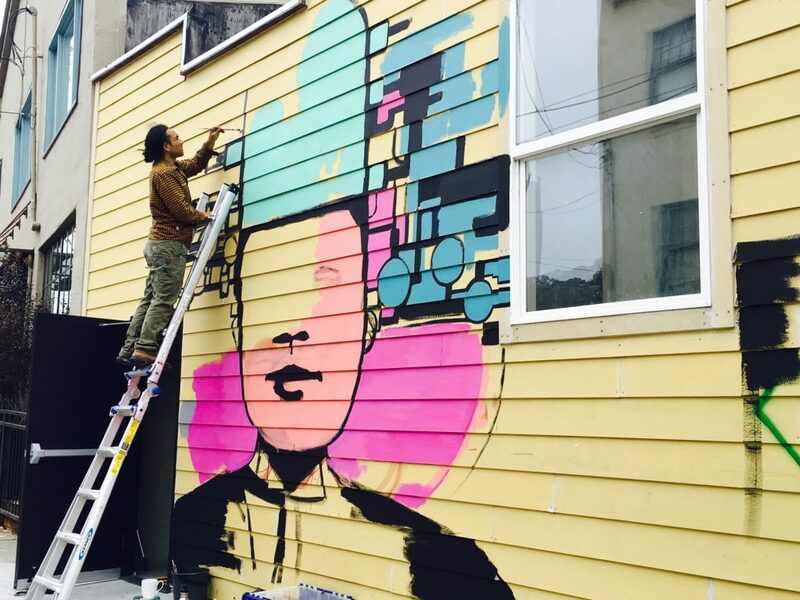 The Laundry, a new gallery and soon-to-be cafe in the Mission, wants to give artists a space to work without actually taking them to the cleaners. Opened two months ago inside the former Lacrouts French Laundry on 26th Street near Capp, The Laundry offers monthly memberships for artists, crafters and other creative types that provide workspace and a venue for teaching classes. In addition, there are community memberships that allow people to take workshops for free or at a discounted rate. ‘We wanted the artist community to have an affordable, spacious environment to hone their craft and showcase it to others who might benefit in learning a new skill,” said Cynthia Boedihardjo, The Laundry’s general manager. Artists can work Monday through Friday at The Laundry and hold up to three monthly workshops for as many as 20 people for a monthly fee of $300, Boedihardjo said. Community memberships are $60 a month. There will also be food in the near future. 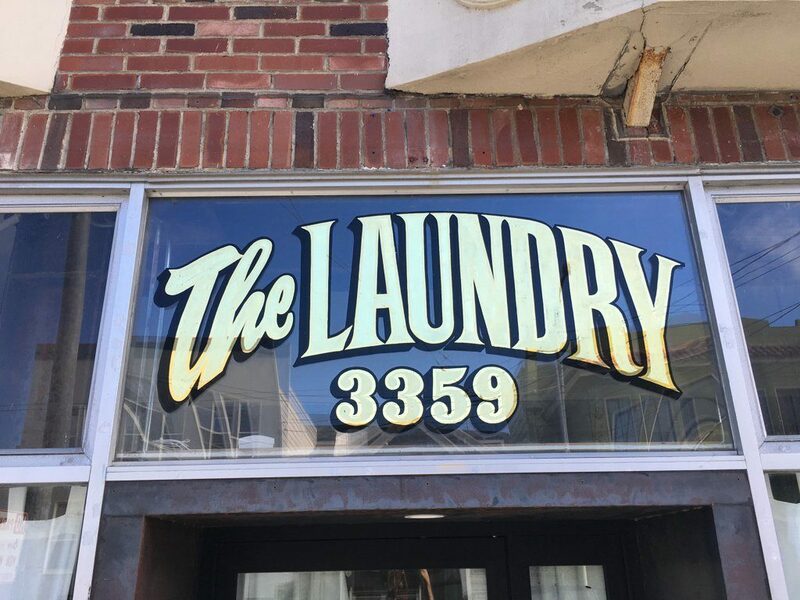 The Laundry is still waiting on its permit to operate a cafe inside the 3359 26th St. space, but the hope is to open at the end of September. Think panini, pasta and salads, with discounts offered to neighbors in the 94110 Zip code. “We want to try to bring affordable, healthy food to the neighborhood,” Boedihardjo said. 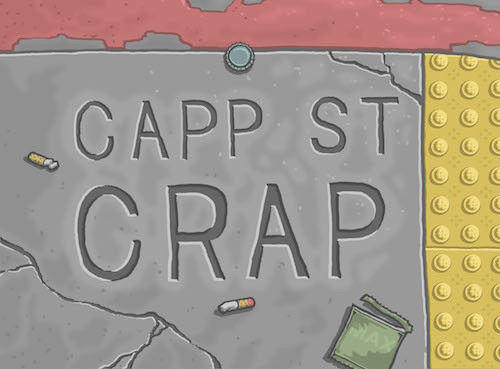 Though viewable primarily by appointment until the cafe opens, art is already on display in The Laundry’s back gallery and the plan is to swap it out every 45 days. East Bay artist Judith Schonebaum’s work is currently up. The Laundry will participate in ArtSpan’s open studios on November 5 and 6, while an exhibit featuring virtual reality is planned for October, Boedihardjo said. Yesterday, local artist Locust Songs began painting a mural on one of The Laundry’s outside walls. Those already working inside include a fashion designer who teaches kids how to sew and a member who uses LED to make interactive art, but space and workshop opportunities are still available. Boedihardjo said The Laundry’s ultimate goal is to foster creativity at a time when affordable space for artists is dramatically shrinking. The Laundry is inviting members of the public to bring paintbrushes and help paint its new mural this Saturday, Aug. 6 from 11:30 a.m. to 4 p.m. Children must be 10 years of age or older. If you’re interested in joining, email them at info@thelaundrysf.com. This entry was posted in Art and literature, news.